Hugo and Org, a perfect match. This website is a static website hosted on Github Pages. 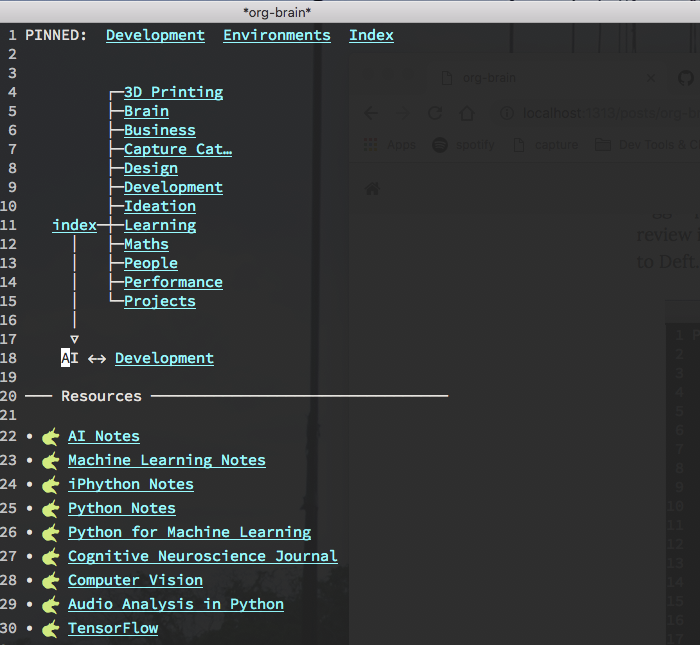 I originally used Octopress along with org-export to publish my notes, but recently migrated to Hugo because of its native support for Org notes. What makes publishing even better is the emacs-easy-hugo package. You manage your notes pages just like you would normally in Org, but now previewing drafts is a simple key press (p), and publishing to Github is another (G). Since my original notes where exported from Org the migration was trivial, just adding some additional header info to my notes; easily accomplished in a few keystrokes in Emacs. The header info handles things like draft status, future publish dates, enable comments, tags, etc. I suggest anyone publishing to Github pages from Org make the move to Hugo and emacs-easy-hugo; they are a joy to use. My notes directory contains hundreds of Org files that can be quickly retrieved via search using either Deft or The Silver Searcher. The challenge however is getting a sense of the bigger picture over time, and reminding myself of old projects that might be useful to review. I have found that Org-Brain is a great compliment to Deft. 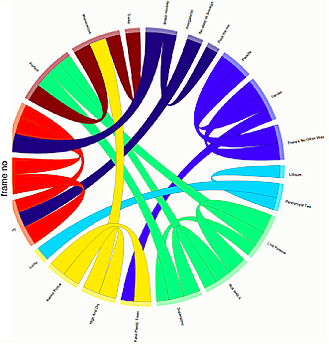 Org-brain is an Emacs package that integrates with org-mode to provide concept-mapping for your notes. It would be nice to simply click on a debug message and have it open Emacs to the correct location in the corresponding file. There are a variety of ways to accomplish this, I chose to use terminal hyperlinks along with adding an Emacs URI protocol to my system. Strangely over the past week I ran into the need for a URI protocol handler on three different occasions. Instead of looking for three separate existing handlers that might work, I decided to write a single generic handler. The solution is a simple URI protocol router that forwards requests to shell scripts that handle the protocol requests. Below I describe some of the details; you can also find the end result on github: uri-handler. I had a need to do some classification of sets of environmental audio files so started looking for an easy to use Python library that was up for the task. Here are my notes on setting up the pyAudioAnalysis Library for simple audio classification task. 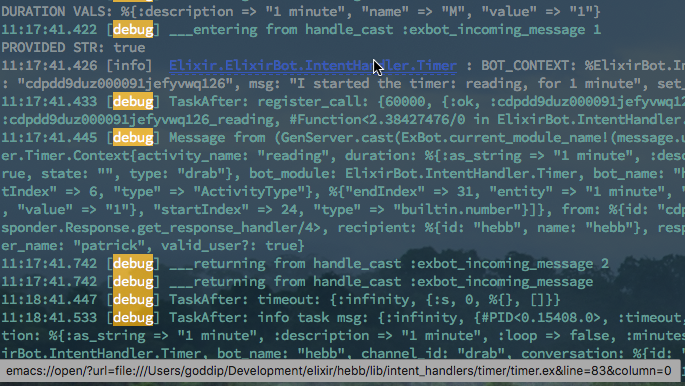 In the nvALT and Emacs post I described an integration between nvAlt and Emacs using Deft for markdown notes. I the past year I have moved to using Deft for org notes rather than markdown notes. The nice thing about combining Deft with Org is that your notes are indexed and easy to find using Deft, but also retain all of the power of Org to orgainize and present information. For example typing decision boundary into deft quickly cuts down hundreds of org text notes to the handful that contain the words decision and boundary in them. 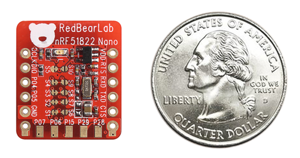 I decided to try getting Apple Notification Center Service (ANCS) working with the RedBearLab BLE Nano, and this post describes one way to get the Nordic ANCS demo running on a BLE Nano. This post shows how to get an ARM development environment and toolchain up and running on OS X in order to develop apps for the Nordic BLE SoC's (e.g. nRF51822 based boards like the BLE Nano).